MUST READ: Expert Tips For The Newly Engaged! Expert Tips For The Newly Engaged! 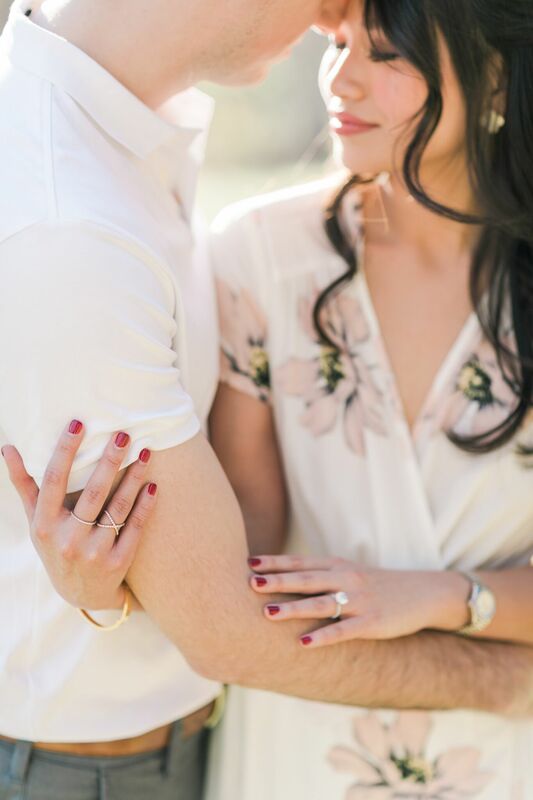 Engagement season is in full swing and we are loving every minute of it! Getting engaged is a such a special life moment and then everything seems to become a whirlwind after you say “YES!”. 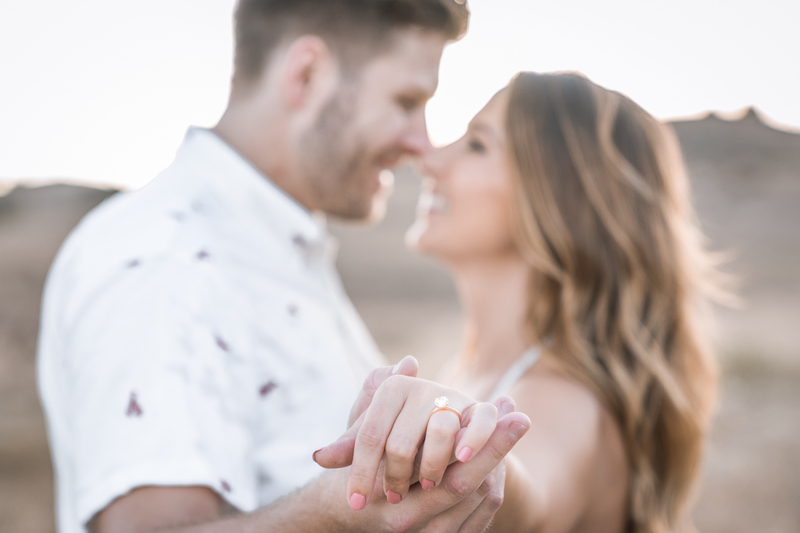 If you’re newly engaged or plan on receiving something a little extra sparkly one day soon ;), you don’t want to miss out on these expert tips for the newly engaged! Lisa Costin of A Charming Fête: 1. Keep calm and hire a wedding planner. Hire an experienced professional early on to help ease you into the planning process, help you select the best vendors (and venue) for both your budget and personal style as well as keep you on track and ensure your big day runs smoothly. 2. Determine a budget and guest count, these two go hand-in-hand. Tatiana Czerwiak of Lucky Day Events Co.: 1. Dream! Immediately after getting engaged, most couples think they need to dive into details and planning headfirst. We love telling our brides and grooms to pause, smile and enjoy just being engaged since you won’t get these moments back. This is the time to start dreaming of what your wedding will entail and what you want and don’t want incorporated before getting into numbers. 2. Insure your ring! You’ve got the sparkler, now it’s time to protect it for all eternity in case anything happens. Erica Trombetti of Infinite Events: 1) Don’t rush to start planning the wedding, enjoy being engaged. You will only be a fiance for a short period of time so make it worth it! 2) Pinterest will drive you insane! Take a peek, but don’t rely on it too much. 3) When you do start booking vendors, your first vendor should be a wedding planner. They will save you time, energy and stress with all the details that are about to come. Nicole Presley of Plan My Wedding Please: As a wedding planner, I get asked these types of questions more often than not. With over fifty weddings and events in five years of business, these tips never change. I give the same list to every single one of my clients and friends, so you know you’re hearing the best advice from a wedding planner. Believe me, when I get engaged, I’ll be following these same five tips. CELEBRATE. This is such a special moment in the lives of the couple and there’s so much that happens during an engagement. Being present and celebrating really sets the tone for how planning will look. Understanding that the marriage is more important than the wedding helps the couple stay focused on the reason for the celebration. Morgan Childs of Moana Events: 1. Share the news with those closest to you before you share it with the world. It’s tempting to want to shout your engagement from the rooftops, but make sure you savor the moment with your new fiance and then break the big news in person or with a personal call before you post to social. Grandparents, parents, siblings, and close friends all deserve to hear of your engagement directly from you and not while they’re scrolling through their newsfeeds. 2. Insure your ring. In the midst of showing off your hand to every person you know, (and some you don’t!) make sure to protect your new beloved bling with insurance. You can add it to your current homeowner’s or renter’s insurance or you can purchase an extension that covers your engagement ring specifically. Nora Sheils of Bridal Bliss: First off – relish the moment! Enjoy being engaged and celebrating with friends and family. Once the dust has settled a bit, sit down with family (or just the two of you) to figure out a budget, guest count, and set a timetable. From there, one of the most important steps is hiring your coordinator. 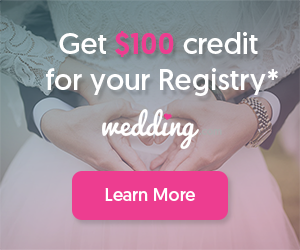 He/she will help you book your venue and vendors, negotiate serious discounts, infuse unique details and ease your stress along the way. Danielle Rothweiler of Rothweiler Event Design: 1. Enjoy your engagement! Don’t jump right into planning the day you get the ring. 2. Determine your budget and speak to those that are going to contribute. Don’t plan a single thing without your overall budget in place. 3. Contact and interview several wedding planners before getting the ball rolling. There are so many questions you don’t know to ask when planning, so have a professional by your side from day one. Brittany Westerman of Reed + James Events: 1. Enjoy your new engagement – there’s plenty of time for venue scouting, budgets, style boards and timelines. Immediately after your engagement, you should spend time enjoying your new status and have time alone together as a couple. 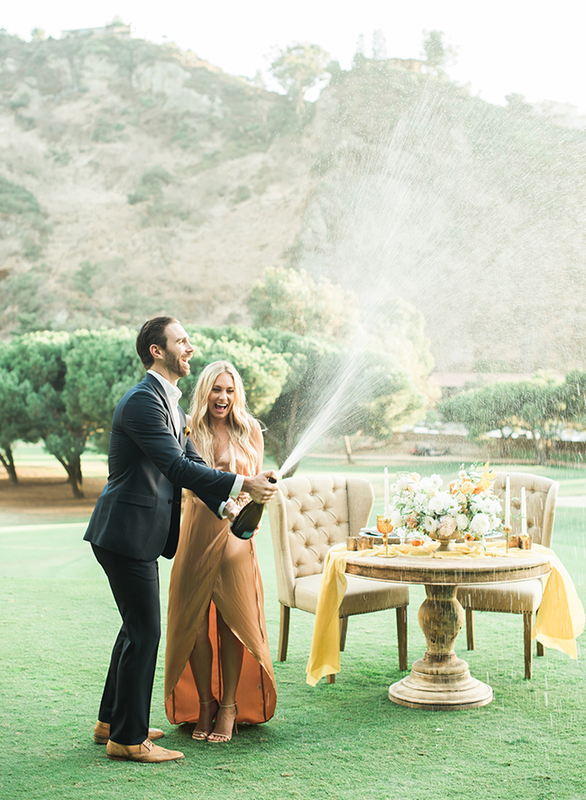 Soak up all the joy that comes with being newly engaged! Victoria Holland of Victoria Ann Events: 1. Celebrate your engagement! There is plenty of time for planning your wedding, don’t forget to actually celebrate your engagement! Have a party with your family, go out for brunch with your closest friends, or plan a fun getaway with your fiance. This is such a fun time don’t let your engagement pass you by! 2. Pick a date, when you start calling around for wedding vendors, this will be the first thing they ask. If you’re flexible, make sure you have a time of year that you would like to get married in. Valorie Darling of Valorie Darling Photography: 1. Gush to all your friends and family and of course post it on the gram! ;) 2. Before you jump straight to planning. Actually, take the moment in and enjoy that first fun stage of being engaged! 3. I would then say lock your date and venue in. The entire vibe and look of your wedding can be set from the location and your other vendors need to know a date in order to book them. James Korin of James Korin Photography: 1.) Book your photographer. There are only 52 weeks in a year and top wedding photographers book up fast for the following year. Interview your photographer to make sure his/her photos and personality match your vision. Kari Dirksen of Feathered Arrow: 1. Take time to enjoy the season of being engaged! Take a step back from getting started in the planning process immediately. Take a couple weeks or a month to celebrate with friends and family and soak in the goodness of being able to marry your best friend! 2. 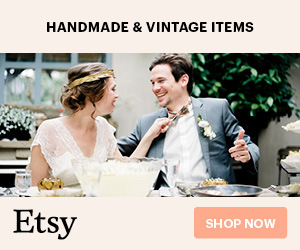 Sit down as a couple and talk about the type of wedding you want and your budget. Talk first and foremost as just the two of you. Talk about when you want to get married, what you want from the big day, what your budget looks like, who’s going to pay for the wedding, etc. Once you come to a mutual decision on a date or a couple of dates (until you find a venue) and what you want your big day to look like, then chat with your family and/or your parents if they are involved. HoneyFitz Events: 1) Celebrate!!! Share the exciting news with family and friends! 2) Set a Wedding Date 3) Determine your Wedding Budget 4) Compile your Guest List 5) Hire a Wedding Planner! Gina Jokilehto-Schigel of Shi Shi Events: 1. The number one most important thing to do (after celebrating of course) is to set your guest count and budget. Without those two items in place, it’s easy to fall in love with venues that are outside of your budget or can’t accommodate your guest count. 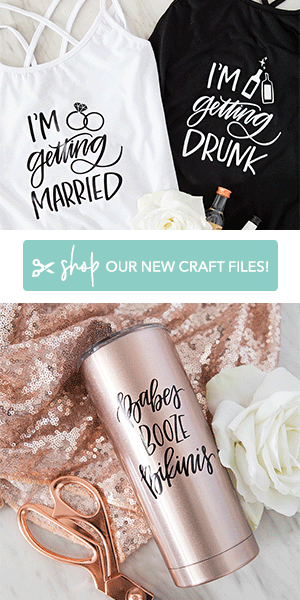 Save time and more importantly the disappointment of loving something you can’t have by having those tough conversations early and before you start your venue shopping. 2. If you can keep an open mind on the wedding date, do! Having a broad season or month you’d like to get married within is helpful in finding the perfect venue and vendors. This is especially true if you’d like to be married in a year or less. It’s much easier to find a venue available in a particular season or sometime in let’s say July-August, for example, vs. a set date. If you have to have a special date we recommend beginning your planning a year and a half in advance. Jodee Debes of Jodee Debes Photography: 1. Don’t lose sight of each other during the planning process. Remember the goal is not the perfect wedding but the perfect marriage! 2. Find a vendor team that you connect with and enjoy being around! Because you may be inviting 150 guests but your team are guests number 151, 152, 153, etc… and they add or subtract from the vibe of your wedding day. Jamie Bohlin of Cape Cod Celebrations: 1. Spread the news! Of course, you will both be ecstatic to share your news so call your family and friends and shout it from the rooftops that you are ENGAGED!! 2. One thing I always tell my brides is DO NOT take off your ring. Rings are built to last and they will be fine in the shower, washing your hands, while you are sleeping, using lotion, etc. The more you take off your ring the more chances there are to lose it! The only time I ever take mine off is when I am cooking or baking with my hands – like with cookies or meatballs! Also, take it to a jeweler to get cleaned as many times as you want! Insuring it is always a good idea too!